Being a client-centric firm in this business, we are engaged in offering Natural Indigo Leaves. We are offering Natural Indigo Leaves. These are thoroughly cleaned to remove impurities and are dried well. We ensure that these are properly stored, packed and transported to maintain consistency in the quality of natural indigo dry leaves. With the production capacity of more than 100 mt. per year. Our range of leaves is offered at reasonable prices across the globe. We bring forth our vast industrial experience and expertise in this business and are instrumental in offering wide assortment of Dried Indigo Leaves. Most natural indigo dye is obtained from indigo leaves in the genus Indigofera, which are native to the tropics. In Europe, Indigo can be obtained from wood (Isatis tinctoria) and dyer's knotweed (Polygonum tinctorum). The primary commercial indigo species in Asia is truly indigo(Indigofera tinctoria), a shrub found in Southeastern Asia. Its flowers range from red to purple. With our firm commitment to quality, we are engaged in providing a comprehensive range of Natural Indigo Leaves to our customers. 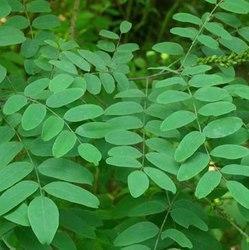 These Natural Indigo Leaves are used for the preparation of hair color and also fabric dyes. Moreover, these products are available as per the varying requirements of our customers at low prices. Indigo is also known as rattlebush .Indigo Leaves is one of the most important and widely used in medicines. We offer the Indigo Leaves at market leading rates to the valued clients. We are exporter of the farm fresh Indigo Leaves. Indigo Leaves is a great tonic for stomach hair related problems. 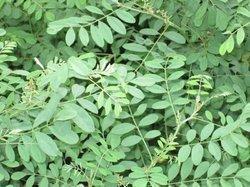 We supply good quality dry Indigo leaves.